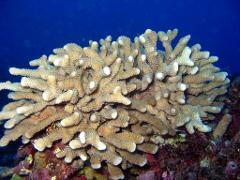 Explore the reef of Rarotonga with us on our 2 dive excursion. Operating every day, we select two sites based on weather and diver experience to give you the best diving Rarotonga has to offer. 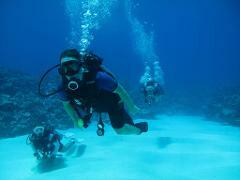 All dives have a professionally certified dive leader present to guide you around the site. 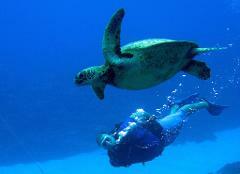 We operate 1 two dive excursion each day, so there is no rush on our trips. We allow divers unlimited bottom time and have an ample surface interval to ensure our second dive is not limited by deco time.